Comment: Replacing hipped roof on two-story home with front and back porches, plus first floor bay window. Also need to replace section of flat tin roof surrounding chimney, and possibly repair the gutters. Comment: This is a 9 year old roof top deck. The material (Duradek) was not installed properly and is leaking into the master bedroom. There are water stains along a seam in the master bedroom. The townhome is 9 years old, but the labor warranty from the builder (Stanley Martin) expired after 5 years. I am looking for a diagnosis of the problem and repair. Comment: I believe the roof has some damaged and some areas are better. We are talking here about 1300 sq. f. house. It is a brick house, also need gutter repair as well, and a bit of siding. Arlington Roofing Contractors are rated 4.69 out of 5 based on 2,276 reviews of 61 pros. 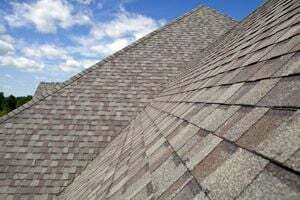 Not Looking for Roofing Contractors in Arlington, VA?